What is the Actual Claims Practice? More than $20 million dollars in benefits is being paid to long-term care policyholders every day, 7 days per week. In the time it takes to read this post, over $70,000 of long-term care insurance benefits are being paid. But how many claims are denied? 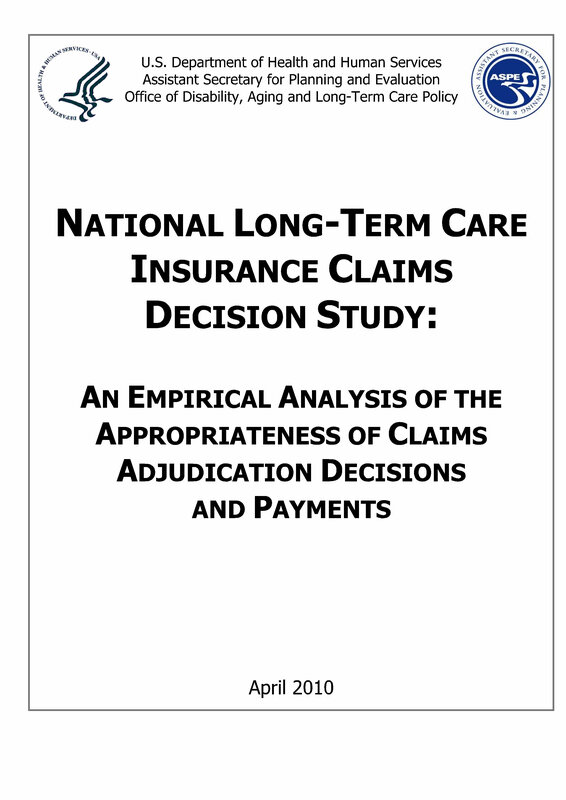 The federal government commissioned an audit of long-term care insurance claims practices and the Department of Health and Human Services published the findings in a 20-page report. The audit was conducted over a 22-month period in 2008 and 2009. The audit reviewed both approved and denied claims from seven of the leading long-term care insurers. These seven insurance companies are currently paying over 70% of long-term care insurance claims. They audited EVERY denied claim for some of the insurers in the study. In other words, the claims are being paid! The reason some claims are not paid is because the policyholder does not meet the federal guidelines for “benefit eligibility” in the policy. Click the image on the right to read the full report.